Batu Ferringhi is one of Penang’s most popular destinations. Its long stretch of soft, white sandy beach is filled with a host of accommodation and dining options. When spoilt for choices, how do you decide? 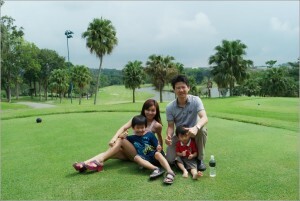 Travelling with kids, the most important factor for us is the convenience and comfort of the boys. Having stayed at numerous Holiday Inn resorts around the globe, we now have them fondly embedded in our hearts. 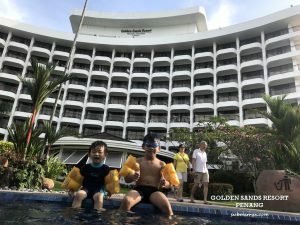 The kids love the Kids Club and we super appreciate their Kids Eat For Free deal hence without hesitation, we chose to stay at Holiday Inn Resort again during our recent trip up to Penang. The white sandy beach with crystal clear water at Holiday Inn Resort Penang. This stretch of beach is simply beautiful that the kids spent most of their time here. Who needs infinity pool when we can have this? 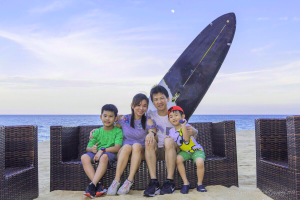 Holiday Inn Resort Penang was recently awarded as Top 10 Best Family Resorts by Holiday With Kids Magazine in 2016, for the forth consecutive year! It is hardly a surprise as we thoroughly enjoyed our stay here. Holiday Inn Resort Penang consists of two properties – the 7-floor Beach Wing and the 23-storey Ferringhi Tower that are connected by a sky-bridge. The rooms in Beach Wing are tastefully decorated to embody the charm of resort living with each unit having timber floors and exotic rattan furnishings and fixtures. The gorgeous view where the sky meets the sea from the Beach Wing. The swimming pool and the white sandy beach are just steps away from the Beach Wing. Across the road, connected via a covered link bridge is the Ferringhi Tower. Perfect for our family of four, the Kid Suite (Hill View) has a king-sized bed and a separate area with twin beds for the kids. The boys went nuts with those cute little bears and elephants folded out of towels. Kudos to the housekeeping team for these fun little gestures for their little VIP guests. As usual, the pillows here come with a choice of FIRM or SOFT and are properly tagged for our convenience. There’s a choice of a Jungle, Treasure Island and Space theme and each 699 sqft room has a private balcony with views of the hillside. The kids section has a PlayStation® console and it kept the boys happily occupied when I freshened up after a long road trip while the Daddy took a quick nap. No more jumping on beds with the PlayStation® at hand. Across the partition is our room with a King size bed. Love the calming beach backdrop and am extremely in love with the personalised welcome note laid out with rose petals on our bed. There is no door between the parents’ and the children’s space so we can easily keep an eye on them. The spacious en-suite bathroom with marble floors, a bathtub and hot shower facilities. We appreciate bathrooms with a bathtub. It makes bath time much more fun for the kids. Complimentary bottled drinking water with tea and coffee making facilities. They offer a wide range of complimentary coffee, a variety of teas as well as MILO for the kids. Basic room amenities such as bathrobe, bathroom slippers, ironing facilities, in-room safe and hair-dryer are also provided. 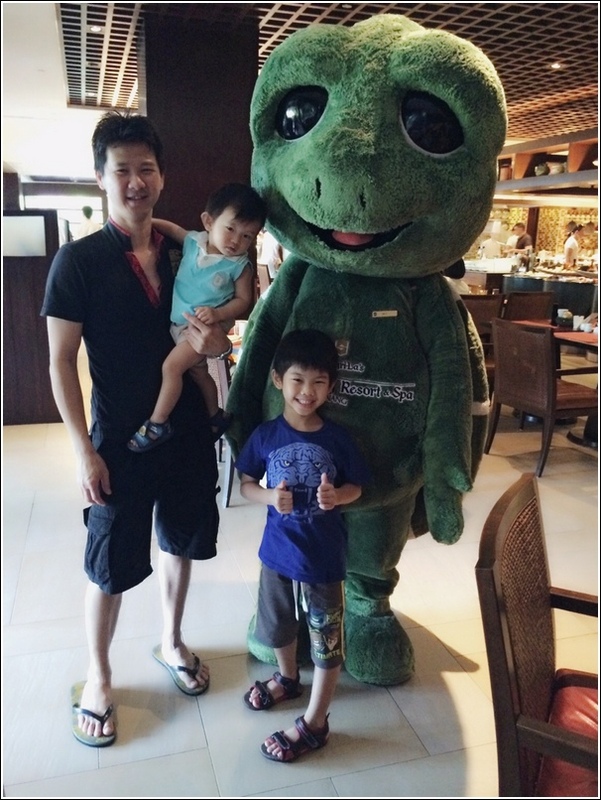 WHY HOLIDAY INN RESORT PENANG? 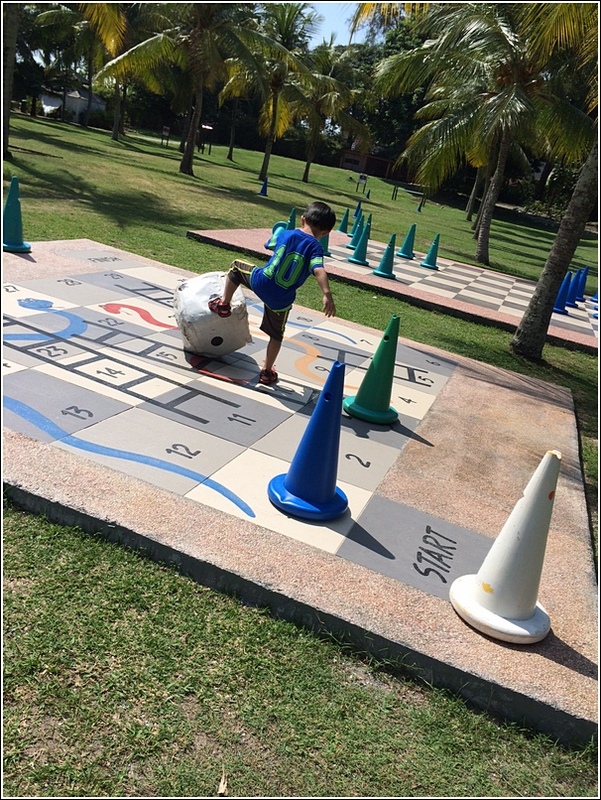 What attracted us to stay at Holiday Inn Resort Penang are the facilities and activities available for the kids especially the traditional local crafts and games, as most of us (especially city folks) do not have the opportunity to enjoy this anymore with the children. 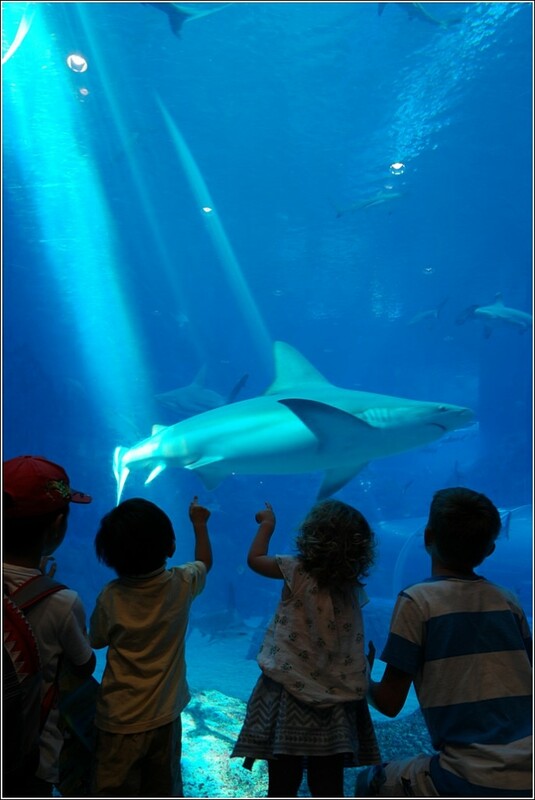 All activities arranged by the Kids Club are complimentary for their most important guests – the KIDS. One of the traditional crafts that the kids got to try making is kite. Ethan gets to learn how to make a kite from scratch. He also got a surprise visit from PANDA in the midst of making his kite. Watch this video below to see how happy the boys were making a kite. It is amazing that we can weave a grasshopper using coconut leaf. This is a valuable skill to master because we can even sell these grasshoppers in future school bazaars to help raise fund. Here’s the video of Ethan learning the disappearing art of making Coconut Leaf Grasshopper. Besides learning to make kites and coconut leaf grasshopper, the boys also had the chance to spin the top. They have never done this before as gasing is not a common thing in the city these days. Even back in our hometowns we don’t play this anymore. Ethan learning to roll the string around the gasing. Ayden got to spin the top too with the assistance of the many helpful and friendly staffs here. Watch this video to see the boys spinning their tops. Apart from all the traditional crafts and games, the boys also got the opportunity to paint their own mugs. Surprisingly, this is also a complimentary activity. We do not have to pay for the mugs and yes, we get to bring those mugs home to the boys’ delight. Here’s a video of the boys painting their Pikachu mugs. Talking about Pokemons, let me side-track a little. We were extremely excited to learn that this resort is a PokeGym as well as a Pokestop! Back to the resort, they also have activities lined up for older children or in other words – TEENAGERS. Games and facilities are complimentary. We’ll need to place a deposit of RM50 that will be returned to us once we returned the props in good condition to the Reception team. We don’t have any teenagers yet but it is time the Mummy and Daddy have some fun. But as always, the boys come first so we let them play a couple of rounds first before we get to have our turn. Yes you read that right! Kids stay and eat free at Holiday Inn ® brand hotels! With every paying parent, two kids get to eat for free. They get to choose a 3-course meal from the Kids’ Menu which was developed in collaboration with Nutrition Australia, a globally recognised leader in nutrition. The boys are also given an activity sheet to keep them occupied while waiting for their food. Each child gets a 3-course meal which consists of a fun treat, drink and a main meal from the above menu. Ayden loves this Orange Twist so much that he refused to try other available juices in the menu. Ethan on the other hand loves the Fish & Chips and asked for this most of the time. The fried rice aka Eggy Rice is also another favourite of the boys. Holiday Inn Resort Penang also boasts in having 2 Indian resident chefs – Chef Laxman (from Delhi) and Chef Poojari (from Bangalore). They serve one of the best and authentic Northern Indian cuisine on the island that it is a must to have at least one (if not more) Indian meal throughout our stay here. The tender chicken tikka infuses lots of flavour. As I bite into a chunk of chicken, the smokey char worked its way though only to be intensified by a new layer of spicing. The chicken chunks are amazingly juicy, moist, and tender and not at all bone-dry to death. Our favourite that evening has got to be the hot and tangy Jhinga Masala. A delicious and flavoursome curry with a delicate blend of prawns, spices and curry leaves. Our dinner was truly authentic. I am glad that they serve truly authentic Indian food unlike other eateries serving localized food claiming to be authentic. I highly recommend you to try their Indian cuisine should you plan a visit to here. Besides their well-known Indian cuisine, the resort also serves Lok Lok & Grill buffet for dinner every Saturday. We also ate from the ala carte menu for lunch during our stay here because with each meal we ordered, the kids get to eat for free, remember? We love dining at Terrace Cafe as it features a breathtaking seaview with the sounds of the waves to accompany all our meals. Refreshing fresh coconut to quench our thirst on a sunny day. Grilled salmon steak served with mashed potato, teriyaki sauce and sauteed vegetables. Tomato, chicken, pineapple and mozzarella cheese. Fried prawns cooked with pineapple, bell pepper, spring onions, tomato and cucumber; served with rice and crackers. There is a special Kids Corner for our daily breakfast that is just too cute. The Kids Corner during breakfast. Stuffed toys eating together. Too cute! There is also a night market along the road in front of the resort. We took a lovely leisurely stroll along the road to see what the night market has to offer. 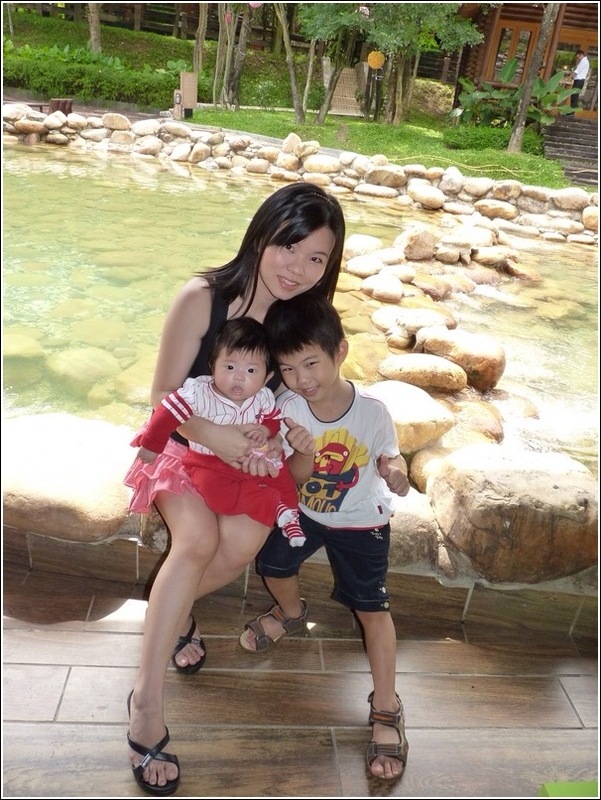 We had a great time here at Holiday Inn Resort Penang. It was a priceless family bonding experience. The kids really so happy, enjoying themselves. What a great priceless memories. Love this kids-friendly hotel. Families travel differently from singles or couples, do you agree? These days I find myself looking for only kids-friendly hotels/resorts for holidays. Places such as this that provides activities for kids is definitely a plus point. Thanks for sharing. I can’t wait for our turn! You are welcome, Barbs. I hope you abd Ashley will have a great time here too. Thanks for sharing, marked this down! One night is definitely not enough. Need at least 4 nights! What a lovely post of this beautiful resort hotel that holds a very special place in my heart. When it was newly opened, I was working with an ad agency that worked closely with their GM and F&B Head to carry out all their jobs to perfection. I will want to visit this place again and stay there. It was like a home to me! I could see how much upgrading they have done from all your lovely and fun photos. Your boys truly enjoyed themselves with the big smiles. Heeeee! 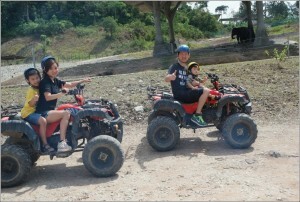 Can see from the photos that both your sons enjoyed themselves very much. I stayed in this hotel (tower side) 20 years ago. Ferringhi Tower belongs to the hotel too, right? Good to see that the place is well maintained. Really a great place for children to enjoy themselves. I love to eat the fish dishes too but at about RM50 each, it is a bit too much for me, gulp. All-paid holiday? So nice. No such thing here…unfortunately. Sobssss!!!! Hmmm…Ayden needs a haircut. Hehehehehe!!!! This is great! I’m going to recommend this to my family! Thank you for sharing. I am going there next week. Have fun there Kenny. I hope you will have as much (if not more) fun than us.